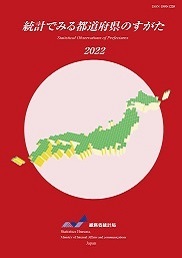 The "Statistical Observations of Prefectures" presents major indicators from the "Social Indicators by Prefecture", which is a report that summarizes the system of social and demographic statistics of Japan, and recompiles such information to allow that indicators be observed by prefectures in a glance. It includes 437 social indicators (published in February 2019). In addition to this report, two reports titled "Social Indicators by Prefecture" and "Statistical Observations of Municipalities" are also published. The "Statistical Observations of Prefectures" consists of three parts: "I. Social Indicators", "II. Formulae of indicators", and "III. Explanation of Terms".